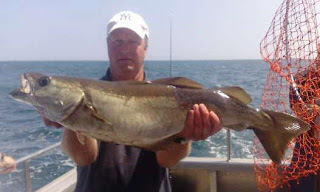 Cod, bass and pollack. 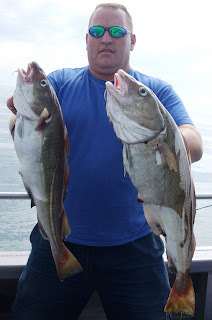 Lovely weather. 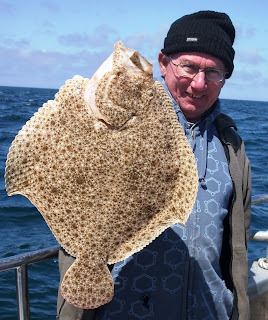 What more could you want??? 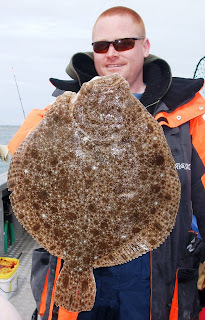 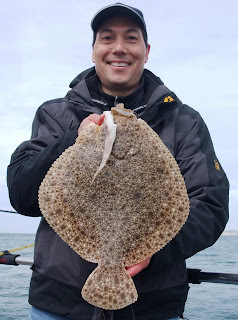 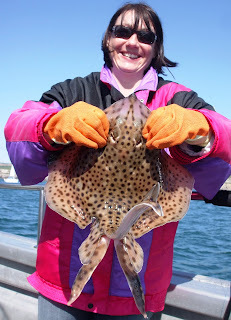 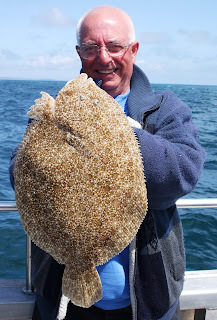 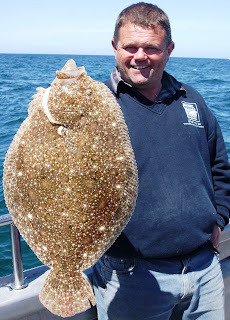 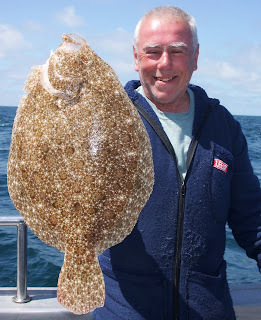 Our first Alderney trip of 2009 and there were some nice flatfish from 2 days on the banks. 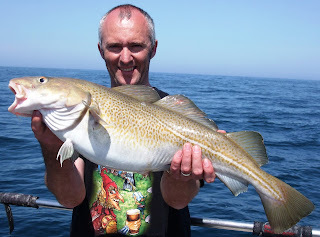 Good cod on the way home. 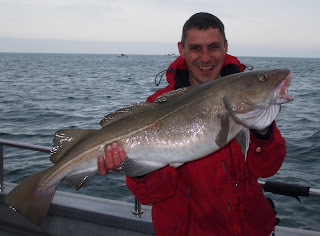 The cod have just started to show on the brittle star ground. 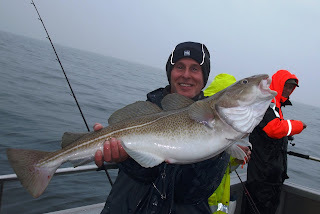 As forecast the size is better than last year with outstanding numbers. 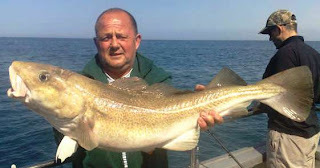 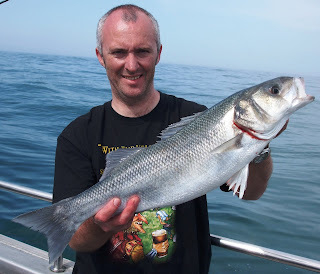 These cod will return so we are encouraging moderation with smaller fish under 10lb returned. 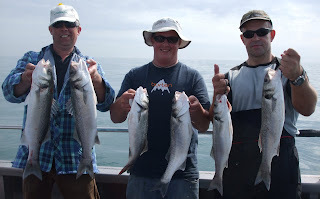 Fishing is good. 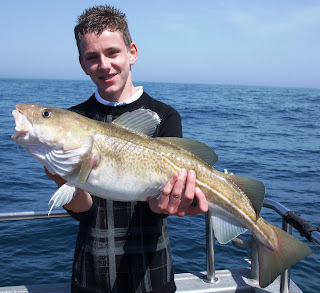 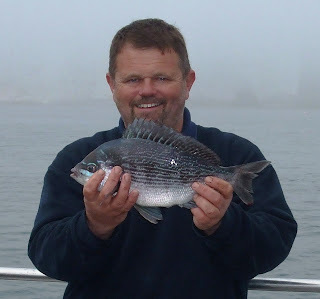 Plenty of pollack and cod on the wrecks and rips. 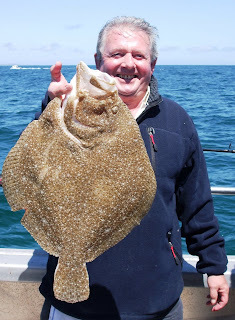 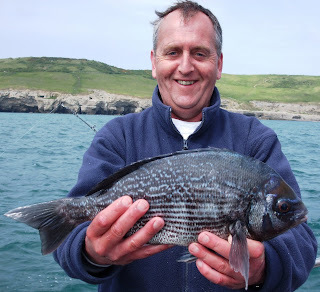 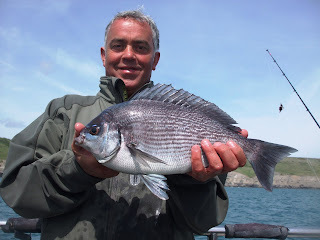 Turbot on the banks and bream inshore. 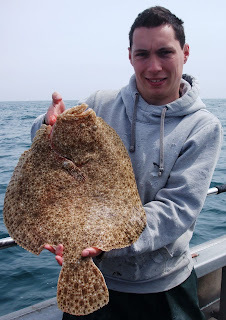 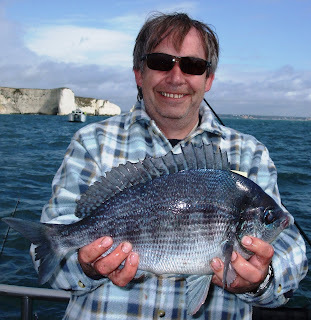 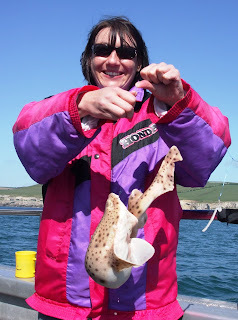 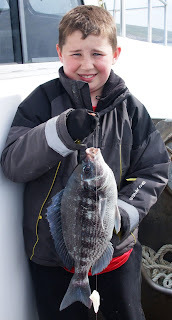 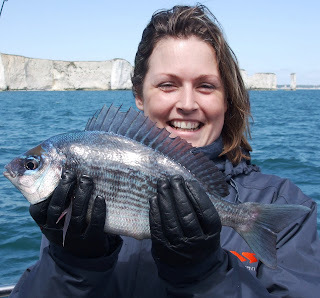 Jone Bowers with one of 2 turbot he caught on mackerel and octopus!